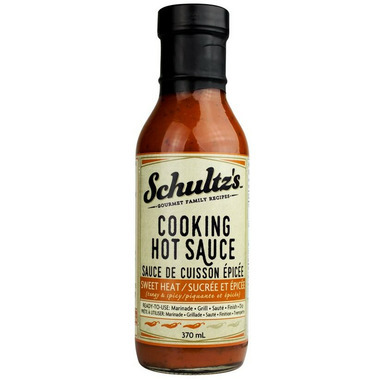 Designed to add a punch of flavor to any dish, this hot sauce can complement just about everything you can pour it on. With endless ways to love it, this sauces is a spicy addition to any fridge or backyard cookout to satisfy those heat-seeking friends and family members. Cayenne Peppers, Vinegar, Unsalted Butter, Salt, Extra Virgin Olive Oil, Honey, Cane Brown Sugar, Chopped Garlic, Spices, Xanthan Gum.